Even though the rates have declined slightly, "it's absolutely a public health crisis," doctors say. 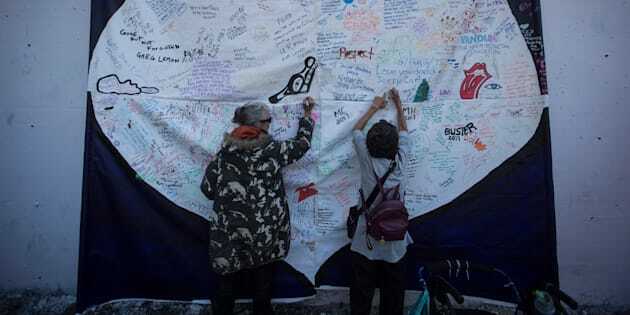 Women write messages on a banner during a memorial service in Vancouver, B.C. to remember those who have died in the province as a result of the drug overdose crisis in 2017. VANCOUVER — The latest overdose statistics in British Columbia show a dip in the number of suspected illicit drug deaths in June compared with the same month a year earlier, but the death toll remains high. More than 100 British Columbians are dying of overdoses each month, or more than three people every day, the BC Coroners Service said Thursday. There were 105 illicit drug overdose deaths in June, a drop from 123 in the same month last year. About 80 per cent of the fatalities are male and 71 per cent are between the ages of 30 and 59 years old. Jennifer Hedican holds a photo of her son Ryan, who died of a fentanyl overdose in April, at the announcement of a new Overdose Emergency Response Centre at Vancouver General Hospital in December 1, 2017. "That's unacceptably high. It's absolutely a public health crisis and it needs to be met with appropriate policy responses,'' said Dr. Ryan McNeil, a research scientist with the BC Centre on Substance Use and assistant professor at the University of British Columbia's department of medicine. The overdose crisis in B.C. has led to a number of new programs aimed at reducing deaths. McNeil is part of a team of experts at both the centre and the university recommending a new approach to dealing with overdoses in Vancouver's single-room-occupancy buildings amid positive results from a project where tenants and landlords were given overdose response training. While the statistics show 60 per cent of the fatal overdoses happened in private homes, it's unknown what proportion of those occurred in the single-room buildings. People listen while learning how to respond to an overdose during a community meeting in Kitsilano, in Vancouver, B.C., in November 2017. 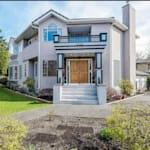 The buildings were identified as high-risk places for overdoses by the City of Vancouver and Vancouver Coastal Health, said McNeil, who was the senior author of a report on the tenant-training project. The buildings are home to some of the city's most marginalized and isolated residents and can be difficult places to access for public-health workers, he said. McNeil said he considers the project a success because residents showed an interested in the training, having seen many deaths in the buildings, and more than 1,000 people have been trained through the program. A naloxone kit is shown in Vancouver, B.C., on Monday November 13, 2017. "This is a model that can be scaled up into these types of environments across the province,'' he said. McNeil said programs like this one are just one part of the puzzle in stemming the overdose crisis. "This is a crisis being driven by fentanyl and fentanyl-adulterated drugs and there's an urgent need to ensure that people have access to a safer drug supply,'' he said. Creating a safer supply could take many forms, from decriminalization of drugs to the scaling up of prescription heroin and injectable opioid-assisted therapies, he said. Activist Dean Wilson holds a bag with cocaine, heroin and heroin he was told contained fentanyl that he purchased on the street for testing purposes for a demonstration at the supervised consumption site at Powell Street Getaway in the Downtown Eastside of Vancouver, B.C., on Nov. 10, 2017. Fentanyl has been detected in 81 per cent of the drug overdose deaths in the first six months of 2018, the Coroners Service said. The powerful painkiller appears to account for the spike in illicit drug overdose deaths since 2012, as the number of deaths excluding fentanyl has remained relatively stable since 2011, the service said.